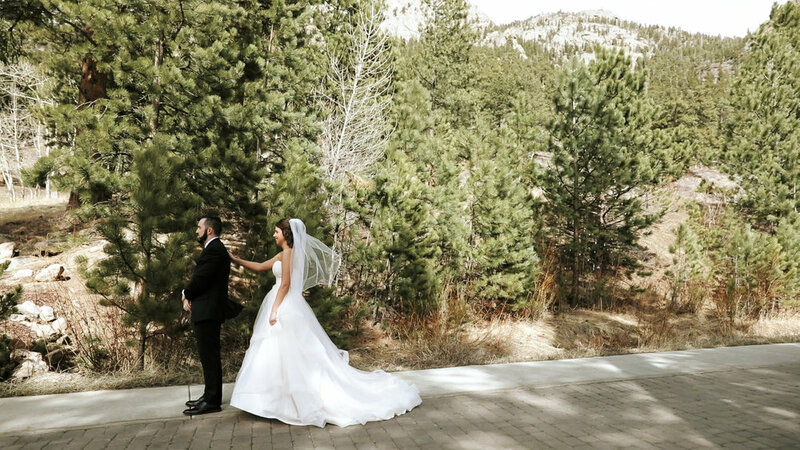 Allie and Keigan are both from Iowa, but Allie had been to Colorado before and fell in love with it. 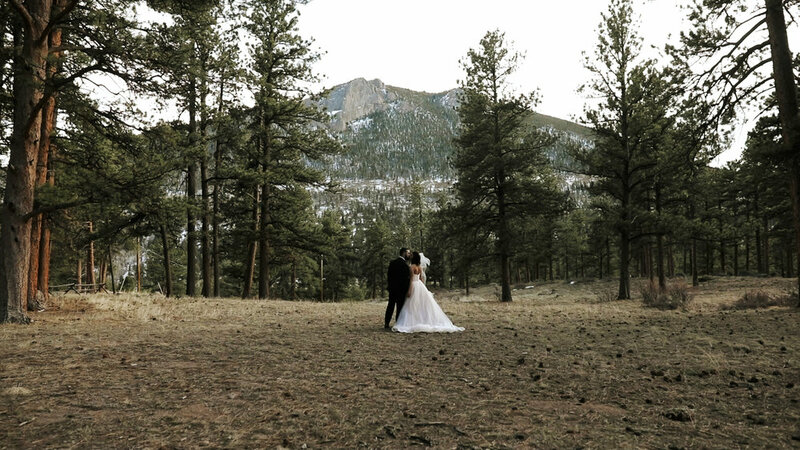 When they started planning their wedding, she suggested they get married in the mountains. 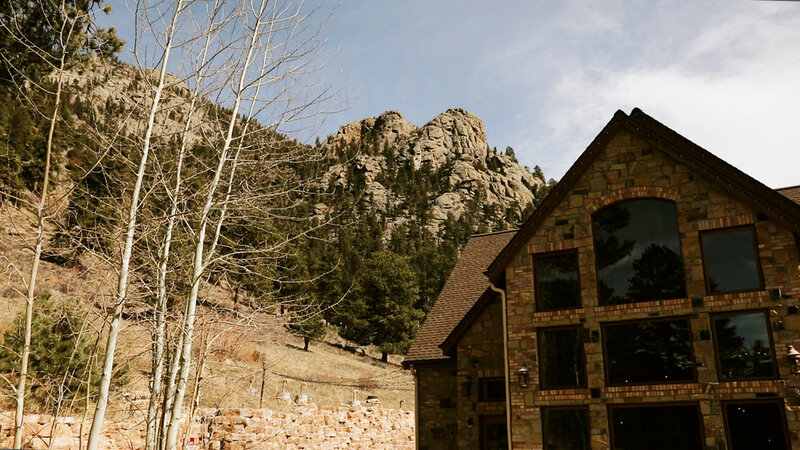 Keigan, who had never been to Colorado, trusted Allie's judgement and they booked their venue in Estes Park. 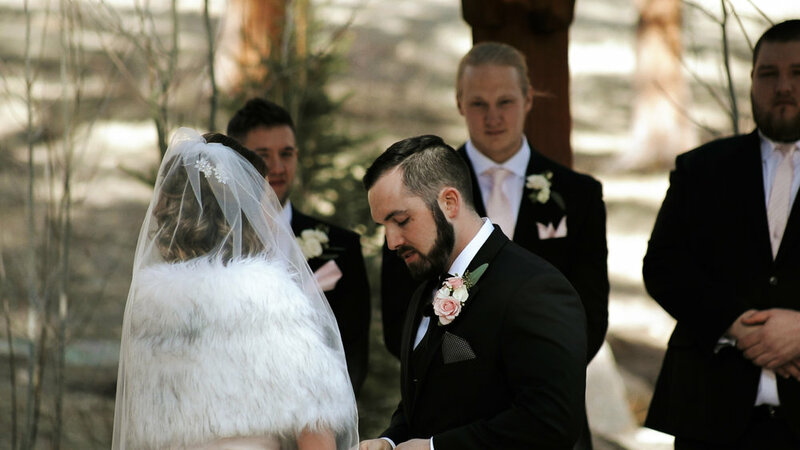 In Colorado, when you get married in March, you never know what you're going to get. You could have two feet of snow or you could have sunshine. We ended up with sunshine and it was such a beautiful Spring day. Allie and Keigan are both amazing to be around! We had so much fun capturing footage of them and watching then laugh and cry together.